Going forward our podcast is going into a different format. Katie will doing interviews and Darrel will do advice. We think this will bring you the best of both worlds. Today’s episode is sponsored by Piksel Faith. For 17 years, Piksel Faith has been serving churches of all sizes all over the world with broadcast-grade streaming and 24/7 live person support. We are very familiar with the work they do… they’ve been our streaming provider at Brentwood for over ten years! 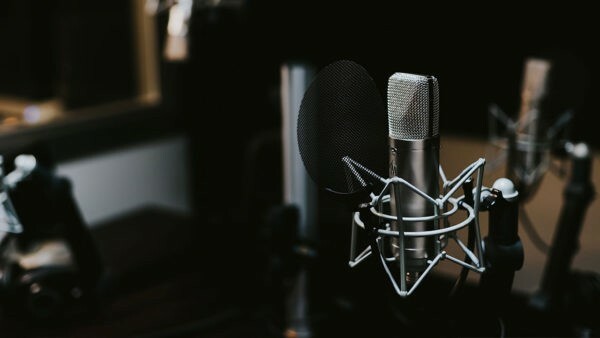 Contact Piksel Faith today for a free digital media consultation and more information by going to pikselfaith.com/podcast. In this episode, Katie has a conversation with EMMY award-winning video producer/editor/creator/author/amazing person/non-profit founder, Jenny Randle. Jenny runs a digital marketing agency, Yellow Chair Creatives, where they primarily run Facebook and Google ads for companies. Additionally, Jenny just published a devotional, Courageous Creative (affiliate link meaning we make a small commission if you purchase). In this episode, we also chatted about AdEspresso.com.